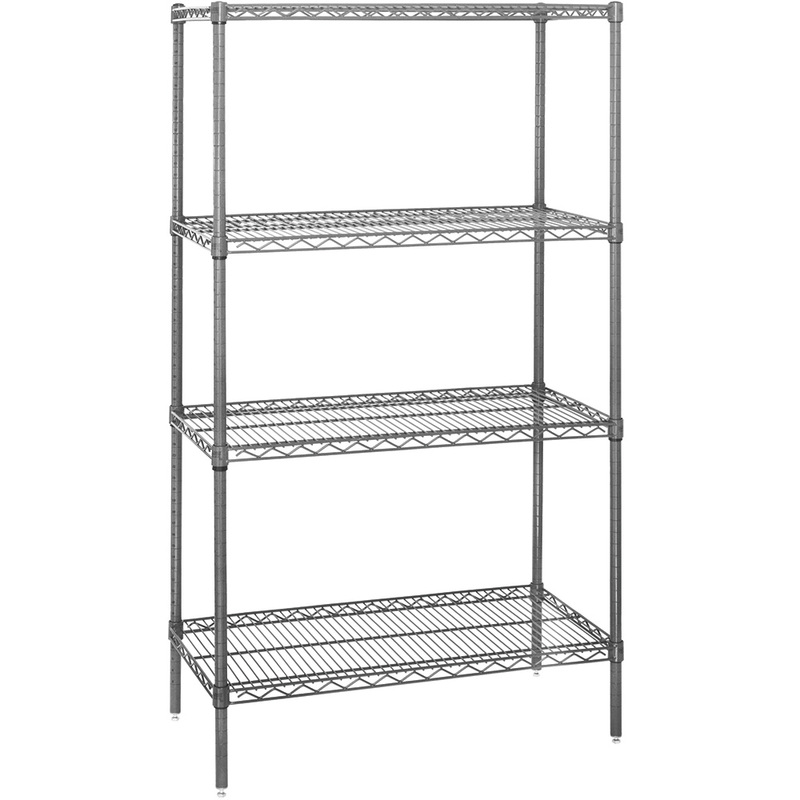 48 x 18 x 74" - 4 Shelf Wire Shelving Starter Unit. Maximize your storage space with these adjustable wire shelving units. NSF certified wire shelves assemble in minutes without any tools. 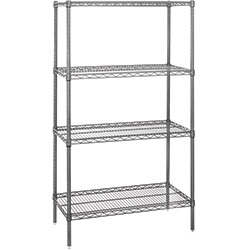 Chrome plated, steel shelving can adjust in 1" increments. Starter Units come complete with four posts and four adjustable shelves. Additional Wire Shelves and Accessories sold separately. Mobilize your wire shelving by adding Swivel Casters Stock Number - WSCASTER (sold separately). Expand your shelving with Add-On Unit WS481874A.